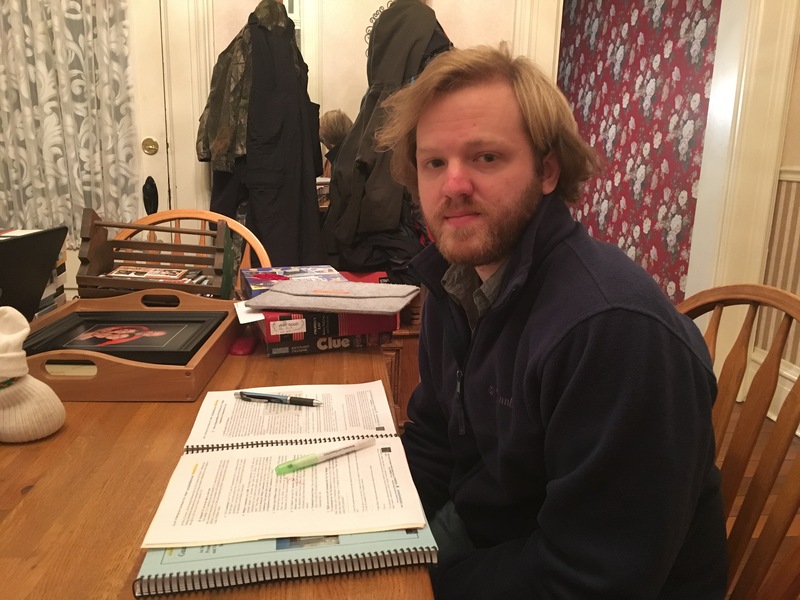 I am a first year law student at the Indiana University Robert H. McKinney School of Law, and I was set to travel to Ft. Meade Maryland this week to observe hearings via lifestream from Guantanamo Bay. The hearings scheduled for this week were for Hadi al Iraqi, who is alleged to, among other charges, have been involved in a series of attacks in Afghanistan and Pakistan around 2003 and 2004. The hearing postponement appears to have resulted from a motion for continuance filed by the defense. The defense filed two motions for continuance in January. Although neither the motions for continuance nor the responses to those motions have been made public, I suspect they are related to the hearings being cancelled this week. I feel a little disappointed that this week’s hearings were cancelled, although I must admit I was concerned that bad weather could cause problems with travel from Indianapolis to Ft. Meade. I review the Guantanamo Bay Fair Trail Manuals in preparation for my observer mission. Not many people have the opportunity to view the hearings of an alleged war criminal. Although the hearing for this week was cancelled, I hope that I will be able to attend one of the other hearings in the future. I understand that delays and postponements are inevitable, but hopefully these will not affect my future travel plans. A few years ago I read a book by Hannah Arendt entitled Eichmann in Jerusalem, in which Arendt describes the challenges associated with reporting on the trial of Adolf Eichmann who was tried for having a major role in the atrocities of the Holocaust. One of the specific challenges Arendt noted is a problem associated with holding a trial for someone who is generally believed to be guilty from the start. She questioned whether such a trial trial can have legitimacy, or if it is more of a show. As I go into this process, this issue does not concern me. I believe it is important to have a trial, especially in these instances. One concern is that most people likely believe that those held in Guantanamo Bay are guilty, based solely on the fact that they are being held there. Holding a trial is an essential part of ensuring that all stakeholders are treated fairly. My role as an observer is an essential part of this process. I take this role very seriously and will always strive to remain objective when reporting on the procedural process. I remain optimistic about my observer mission, despite the first hearing I was set to view being cancelled. As I continue the semester I hope I can find time to attend another hearing, and ultimately hope to travel to Guantanamo Bay, Cuba, to see a hearing in person. My name is Leontiy Korolev and I am very excited by the possibility of traveling to Guantanamo Bay to observe hearings in the U.S. Military Commission case against Hadi al Iraqi on 26 and 27 January 2016. I graduated from Indiana University McKinney School of Law a few years ago, and now work as an attorney for the State of Indiana. In Law School, I was president of the International Human Rights Law Society and had the honor of receiving a scholarship to travel to Geneva, Switzerland as an extern for the Program in International Human Rights Law. For a while after Law School I was a research assistant for the Program in International Human Rights Law, and assisted with drafting and researching parts of Guan tanamo Bay Fair Trial Manual. The Office of the Military Commission provides background information on the Guantanamo Bay Trials including any official documents that have been released to the public. The Charge Sheet is an interesting read and lays out the U.S. Government’s charges against Hadi al Iraqi. The specific charges are found on pages 10-12 of the Charge Sheet dated 02/10/2014. The five charges allege that Hadi al Iraqi committed the following crimes: (1) denying quarter, (2) attacking protected property, (3) using treachery or perfidy, (4) attempted use of treachery or perfidy, and (5) conspiracy. It is important to note that there are numerous news sources available online and elsewhere about the allegations and Hadi al Iraqi; the Charge Sheet only provides the Governments allegations. But learning about Hadi is only part of my preparation. I also have to learn about what my responsibilities are as an “observer” or “monitor”. There are a handful of blogs below that provide some background on the Hadi al Iraqi trials, however I do think that think there may be at least a few people interested in reading about how one is able to travel to Guantanamo Bay and the steps that were taken to apply as well as the steps that needed to be taken to “finalize” travel. Finalize is in quotes because I write this, unfortunately knowing that the hearing could be continued at any moment, perhaps even during my drive to Andrews Airforce Base. Of course it could also be continued as I fly on a military jet to Cuba, but I think that alone would be an experience, so it wouldn’t be the end of the world. The trial could also be continued after I land, which would then leave me with a few days in Cuba, which is not the worst thing in the world either! UPDATE: the hearing was actually cancelled the day before I was set to travel, but I will cover the cancellation in a future post. I have scoured my inbox to see the exact date of my application and it looks like my first application to participate as an observer in the Military Commission Observation Project of the Indiana University McKinney School of Law’s Program in International Human Rights Law was in March 2015. I remember waiting and hoping for the opportunity but as time went by, I was convinced the opportunity would escape me. It had been months since I thought I may yet have the chance to observe the Guantanamo Bay Trials in person, at Camp Justice. The process has been a practice in managing expectation and curbing my enthusiasm. I waited to hear back after applying the second time, but did not hold my breath. Shortly after submitting the application I was informed that I had been nominated to travel to Guantanamo Bay for the Hadi hearings. There was a caveat, the nomination did not mean anything unless I was approved to go by the Pentagon. I don’t know about most of the readers, but I have never had to obtain approval from the Pentagon to do anything before. Perhaps Pentagon approval should have been a given, but in my mind it certainly was not. It seems like time stood still for the next 12 days. The approval email finally arrived and I was given two weeks to submit a handful of additional documents to the Pentagon. This may seem like plenty of time, but the approval came on December 23. Not only were the holidays here but there was a very specific submission process. The documents followed a complicated path. The Pentagon sent them to me, I had to fill them out, scan them and send them to Indiana University McKinney School of Law’s Program in International Human Rights Law (“PIHRL”). Those documents were then reviewed by PIHRL and sent to IU Counsel on the IUPUI campus who reviewed and sent them to lawyers in Bloomington. The lawyers in Bloomington reviewed the documents and sent them to the Indiana University Treasurer. The Treasurer has the authority to execute the documents. Once executed they were sent back to Bloomington Lawyers, the IUPUI lawyers, PIHRL, back to me and finally to the Pentagon. I received the documents back from PIHRL on January 4th, one day before the submission deadline given to me by the Pentagon. A few more email exchanges followed and I was able to submit the documents to the Pentagon before the deadline. I’m sure this all seems more dramatic to me than to the reader (hopefully readers), but given my excitement to attend the hearings, I think it is understandable. Although the hearings were cancelled the day I was set to begin travel, this has been a learning experience and I hope to receive another opportunity to observe and report in the future.